French officials say two have died after an avalanche in the Alps near the Deux-Alpes ski resort. St Christophe-en-Oisans. Photo: Quentin Lagache- Unsplash. Avalanche kills person in French Alps; another missing. The police unit in charge of setting up the rescue operation and authorities in the Isere region said the avalanche struck late Tuesday morning. 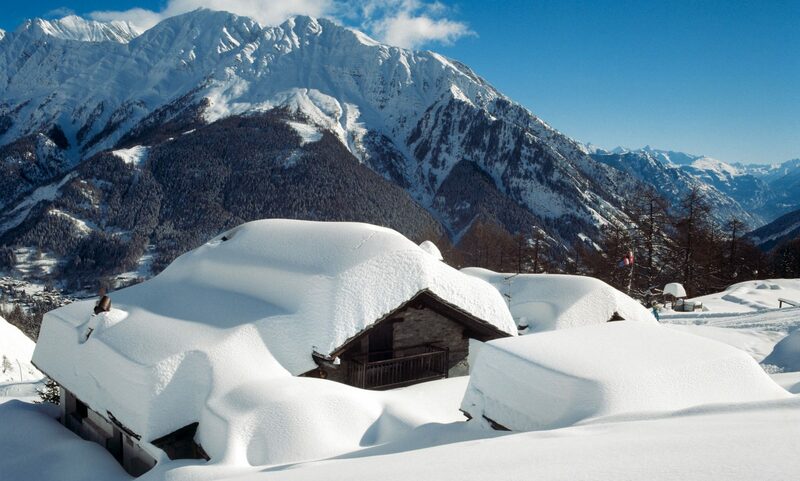 The avalanche struck in on off-piste sector near the small town of Saint-Christophe-en-Oisans. 14 H 05 : The accident occurred outside the landscaped area of ​​Les Deux-Alpes, on an area on the Saint-Christophe-en-Oisans side of La Toura, downstream and south of the Grand Creux breach. (2804 m). Côté Deux-Alpes (on the northern slope), several lifts lead to this sector of off-piste skiing: the chairlifts of Toura and Lac Noir. Many rescuers are currently working alongside Civil Safety and FAS helicopters. A dog team from the CRS Alpes, two from the resort of Les Deux Alpes and a dog team from Huez are on site. A dozen police officers from the CRS Alpes, trackers and station staff are involved in the research. Meteo France, in its bulletin snow and avalanche, reports for Tuesday of a risk 3 (scored) on a scale of 5. 14 H 40: After substantial snowfall in the night from Sunday to Monday and Monday morning in altitude (20 to 30 cm to 2,500 meters), a strong north wind rose at the end of the day and in the night from Monday to Tuesday, which favored the formation of accumulations, and therefore of wind slabs under the ridges on the south slope. This phenomenon, very common in the mountains, is probably the cause of the accident that occurred this Tuesday around noon in the southern sector of the Toura. 15 H: A second victim has just been found under the avalanche. She was in cardiopulmonary arrest when rescue teams pulled her out of the pour. She is currently supported. In addition, the deceased is a man in his fifties, learns Dauphine Libere. The avalanche occurred on the border of the two communes of Deux-Alpes and Saint-Christophe-en-Oisans. 15:50: The second victim, who is also a man, has just been transported by helicopter to the CHU Grenoble-Alpes. This skier was cleared around 1400 hours after spending more than two hours in the snow. According to our information, he was in very strong hypothermia, the temperature of his body being about 25 ° C. The man was still in cardiopulmonary arrest when he was heliported, the rescuers continued the cardiac massage aboard the aircraft, and he arrived in an extremely critical state on the CHU DZ. At present, the relief is being disengaged from the area because the searches are stopped: “We knew that two people were concerned by this casting and there is no other victim”, comes from indicate to the Dauphiné Libéré a manager of the CRS Alpes. The scenario of the accident is precise: the two skiers had borrowed the chairlift of La Toura (located on the ski area of ​​the Two Alps) to switch in off-piste sector towards Saint-Christophe-en-Oisans, commune where the avalanche happened. It was at the beginning of the descent on the south slope that they were victims of the casting. #SecoursEnMontagne, actuellement 8 sauveteurs de la CRS-Alpes interviennent à Saint Christophe en Oisans pour une avalanche en secteur hors-piste qui a fait une victime. Au total ce sont 26 personnes et 6 équipes cynophiles encore mobilisées pour retrouver une seconde personne. 5:58 pm : The second victim who had been admitted to the CHU in critical condition died shortly after admission, learns Dauphine Libere. Les Deux Alpes, near to St Christoph-en-Oisans. Avalanche kills person in French Alps; another missing. Also, Mt Hood Meadows was forced to evacuate one lift with 150 skiers and boarders due to a power failure. And the same was the case in a lift with 140 skiers/boarders in Whitefish, Montana. A last one to report was now in Stowe, VT, with more than 150 stuck skiers and boarders that have to wait up to two and a half hours to offload. Recently a British skier was killed after suffering a cardiac arrest on a chairlift falling 32 feet to the ground in Méribel resort in Les Trois Vallées. You can see our recent article on how avalanches claimed two lives in Switzerland the past week. And read more what is the real risk of avalanches. Three Germans have been killed by an avalanche near Lech and a fourth is missing. Two were caught in an inbounds avalanche near Kachina Peak in Taos and taken to hospital. 7 were killed as a helicopter and a light aircraft crashed over the Ruitor Glacier near la Thuile in the Italian Alps. Or check out how now with the EPIC Pass you can ski in Europe, specifically in Les Trois Vallées and the resorts of Skirama Dolomiti in Trentino’s Italy. Or see our review of L’Héliopic Hotel Sweet & Spa if thinking in staying in Chamonix this winter. Or check out the new Snowpine Lodge in Alta, Utah opening late January 2019. Featured Image: Col de Sarenne – Clavans-en-Haut-Oisans-France. Photo: Nicolas Outh- Unsplash. Avalanche kills person in French Alps; another missing. Next PostNext Wanting to Ski in Whistler but on a Budget? Why not stay at the Pangea Pod Hotel?